An overview of propane systems providing plumbing and HVAC professionals and instructors the fundamentals they can use to train or teach others about safely working with propane. Overview of Propane Distribution Systems for HVAC and Plumbing Professionals was developed by the Propane Education & Research Council and others as part of the industry’s commitment to promote the safe and efficient use of propane gas as a preferred energy resource. Verify that gas appliances meet code and safe operational requirements. Recognize and identify the impact that propane vapor distribution system installations and appliances may have on stakeholders. Identify the sources, characteristics, and physical properties of propane. Follow general propane safety information. Identify the main components of a vapor distribution system and how they work together to supply adequate gas pressure to appliances. Identify various code requirements for container and regulator installation. Explain the effects that a gas piping stub out or side-wall vent termination may have on the propane container or regulator location. Verify that propane appliances are installed in a safe and code compliant manner. Determine interior gas piping requirements. Explain the different vapor distribution system tests and checks, including pressure test, leak check, and regulator and system flow and lockup test. Identify gas system and appliance startup requirements. 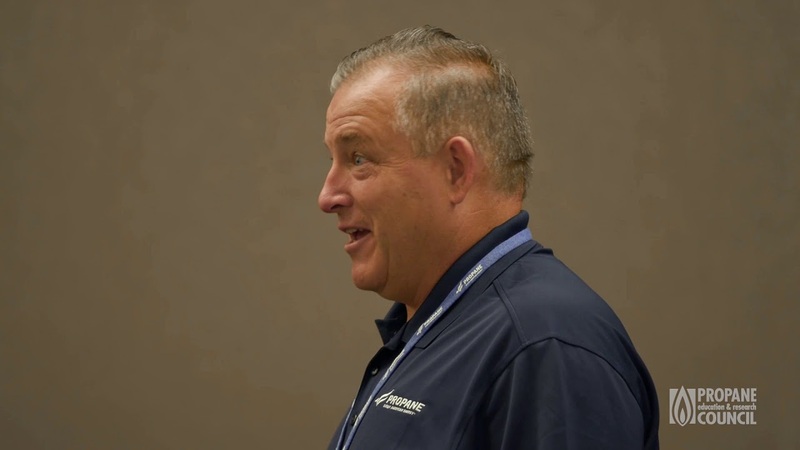 Hear from a plumbing and HVAC instructor who found the course valuable and added it to his training program.